If someone had asked me a month ago where in the world Rota Vicentina was I have to confess I wouldn’t have known. 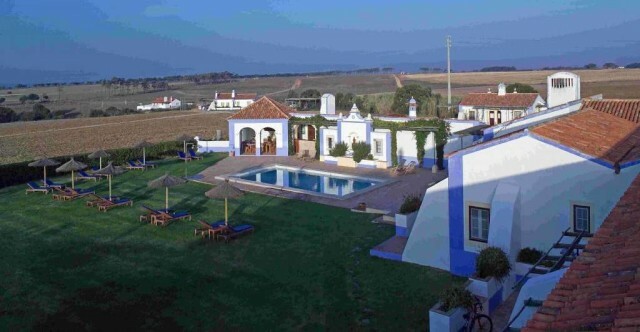 Well, thanks to a recent ‘educational trip’ to Portugal, now I do! Opened to the public in 2012, the whole trail is over 350km stretching between the city of Santiago do Cacem and the Cabo San Vicente in western Portugal. There are two routes, the Historical way totalling 230km and the Fisherman’s Trail totalling 120km. Headwater has a bite size, 7 night section of the Fisherman’s Trail route starting in Santa Clara in the north, down to Cerro da Fontinha covering 93km in total and we had the wonderful opportunity to visit the area to find out more about it. So, if the thought of dramatic, but not too demanding, cliff top walking with views over the Atlantic, combined with a riot of wild flowers, amazing bird spotting – think storks, blue rock thrush and crested lark – and peaceful white washed villages, appeals to you then read on. This is the hotel for the first 3 nights of the holiday. Visitors on our popular birding holiday stay here for seven nights too, so it was a good chance to see what our customers can expect. Frank McClintock, the owner and builder of the Quinta, went to the Alentejo in the 1980’s and loved the region so much he never returned to the UK! 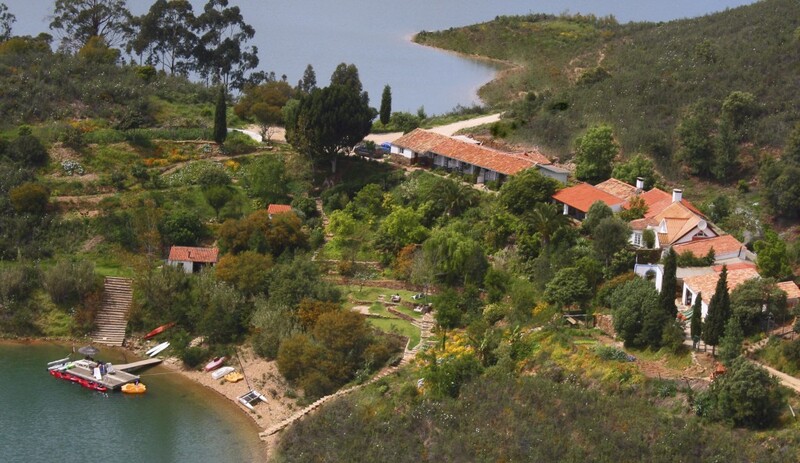 The Quinta has been a real labour of love for Frank and his Austrian wife, Daniele. It has a real home from home feel, making you instantly relaxed and most welcome. All of the rooms are simple, with private facilities and lots of personal touches. Electricity is provided by a generator and the property has its own water filtration system – nothing is wasted. Daniele, does all of the cooking, and both she and Frank are fantastic hosts and made our stay a complete pleasure. Our first walk started with a 75 minute transfer to Almograve organised by Nuno, a member of the team at our expert local suppliers. The start of this walk took me back to my childhood as it involved walking up and down sand dunes. Inland walking through forest trails followed, and then we headed out again towards the coast, where we had a picnic amongst the dunes. This consisted of the most mouth-watering Alentejo bread, with ham and cheeses and fruit. The last part of the walk took us inland to the Hotel Herdade do Touril in Odemira, which was our home for the next 2 nights. The very proud owner Luis (pronounced Lewish) made us most welcome. On arrival we were greeted by a waiter with 2 huge glasses of fresh orange juice which was a lovely touch. Although quite boutique in style you still feel like you are a most important guest in someone’s home. All rooms are modern in décor with very comfy beds and dressing gowns and slippers. All of the rooms (which are situated on ground level) have their own balcony/patio area. Before dinner we enjoyed an apèritif in a truly relaxed atmosphere (the hotel operates an honesty bar so there is no need for you to hang around for waiter service!). Dinner itself is served at individual tables in a cosy dining room which also doubles as the breakfast room. A starter of vegetable soup followed by beef tomatoes topped with buffalo mozzarella, drizzled with balsamic vinegar and local herbs was followed by their famous salted cod with-baby new potatoes and fresh tomato sauce. Dessert was my personal favourite though! Warm chocolate pudding. Just what was needed after a fabulous days walking. One word, well 3 actually. Hot, hot, hot! Be prepared with sun-screen and plenty of water. This walk takes you back out to the coast to the Sardao Lighthouse where we spotted storks nesting, goats chewing and we were blessed with stunning blue skies and views that stretched far out over the Atlantic. We hardly saw a soul, so if not meeting lots of people is one of your holiday musts then you may want to consider this trip. After another splendid night spent at Touril, it was time to leave this little piece of paradise and continue down the coast to our final destination, Cerro da Fontinha. ‘Small is beautiful’ is, I know, very clichéd, but in this case it is very true. The hotel, located in the village of Brejão, has seven rooms, simply furnished with pale blue and white décor, There is a swimming pool, hammocks to relax in, and a warm welcome from the owner Sara. What more could you want? The menu specialities here are freshly caught fish, lots of salads, choriço, and of course the delicious Alentejo bread (once you’ve tried it each day is incomplete without it!). 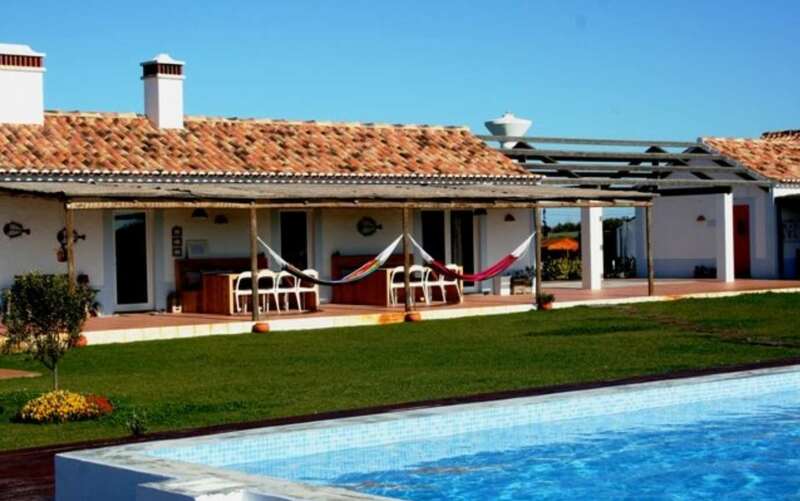 From Brejão, you have easy access to the beaches of Amália and Carvalhal and also the nearby towns of Odeceixe, Aljezur, Zambujeira do Mar, Cabo Sardão. After a hearty but leisurely breakfast (good news is that breakfasts in Alentejo start at 9am) we began our journey home. A 30 minute taxi transfer to Funcheira station, followed by a 1.5 hour train journey, took us to Lisbon. You can, of course, fly home from here, but we took the option of staying for an extra night before the flight home. The Hotel Lisboa Plaza is situated just five minutes from the centre of this vibrant and exciting city and is a highly recommended way to round off your trip. Karen has been at Headwater for nearly 16 happy years now where her role is to ensure our customers have the best possible Headwater holiday experience. She loves the outdoors, and says she's happy either on land, sea, snow or the beach! She says that her favourite ever Headwater experience was to Umbria. In her spare time she loves walking, spending time with her grandson, socialising and rescuing abandoned cats!